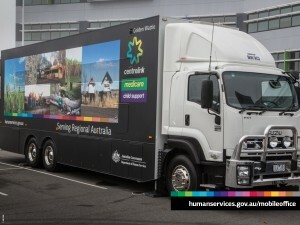 Department of Human Services customers will notice some changes to payments and services over the Easter and Anzac Day holiday period. 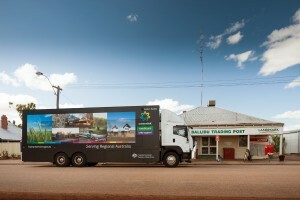 The Department of Human Services is strengthening communication between government and remote communities through the deployment of Indigenous Language Officers such as Damien Tunmuck in Wadeye. Local residents will have access to more government services under the one roof when Medicare moves in with Centrelink at the Ryde Service Centre in April. Elizabeth and Port Adelaide residents will be able to do more government business in one place when Centrelink and Medicare services come together to form two Department of Human Services one-stop shops. The Department of Human Services has today tabled its revised staff pay offer during enterprise bargaining discussions. Toowoomba residents will be able to do more government business in the one place when Clifford Gardens Medicare moves into the Toowoomba Service Centre at 12 Bell Street on Monday 9 February. Around 237,000 families juggling work, study or training will be reimbursed for part of their out-of-pocket child care fees as the quarterly Child Care Rebate payments hit bank accounts this month. 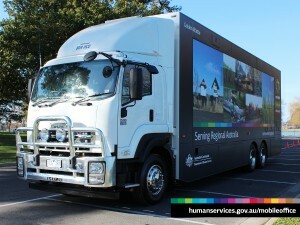 The Australian Government Mobile Service Centre ‘Golden Wattle’ will give people in the Mid North NSW Coast region easy access to essential government payments and services in January. 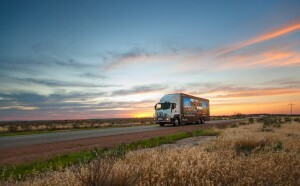 The Australian Government Mobile Service Centre ‘Golden Wattle’ will give people in the New England Region easy access to essential government payments and services in February.